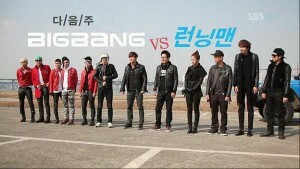 For a variety show to succeed, it needs to able to stand on its own with its own distinct charms. More often than not those charms lie in the main cast of the show. Whether it be the various and often dramatic antics the cast members go through, or watching genuine moments of friendship unfold, these are the things regular variety watchers look for and become fans of. Relationships between members from lovelines to rivalries are often highlighted, as are running gags — both of which require continuity — within a show. So with most of the charms of a variety show being found in the establishment and development of the main cast, what role is there left for guests, who are featured frequently but only present temporarily, to fulfill? For the longevity and overall quality of the show, it’s essential to identify the role of guests and what exactly they contribute–if they contribute anything at all. It’s enjoyable to see a bias having fun in a variety show and the use of more popular guests temporarily help to bring up viewership, but unfortunately these guests often end up being handicaps for the main cast. The attention usually placed on the main cast would instead be focused on the guest, and this not only distracts from the main charms of the show, but it also hinders the much needed development of relationships between cast members. And if the guest isn’t the focus, they end up severely irrelevant, overshadowed by the main cast and left out of many inside jokes. Furthermore, in most shows, the informal, familiar relationships of the cast are a major charm, allowing the cast to be teasing and open to each other. With a guest’s appearance, there’s often an awkward formality that comes with playing the role of a host that would prevent all of that. But despite all of this, some shows have an over-reliance on guests, relying on them to gain viewers rather than taking advantage of their cast. These shows have a bit of a problem when handling their priorities, their use of guests being only one of them. The first show to come to mind when thinking of this is Invincible Youth 2, especially after considering the show’s most recent episodes. The potential this show had when it was first announced was great. The first season of Invincible Youth became a favorite due to the great colorful cast of girls and the focus on them learning to work the land and the growth of their friendship, rather than the idol-ness of the girls themselves. The new season was expected to continue with the concept and it looked like it could be carried out successfully by the equally diverse and potential-filled new cast. However, along the way something went wrong. The show definitely didn’t measure up to the original and it could be said that there were many reasons for this–the main one being the disregard of the original basis and rural charm the show previously featured. While the original humanized the girls, forcing them to do labor, in the new season, the girls are still treated like idols. Especially at the beginning, the girls were given most of their luxuries rather than having to work for them and were also placed in a very competitive environment that allowed little time for bonding. This in and of itself cost the show its charm. But as reported by fellow writer Nicholas in his mid-season report, the show has gotten better in its teen episodes. More focus is being put into the primary appeal of the show, making the girls actually work for what they get. Also, cast relations developed and that generally allowed the show to have a lighter feel. But as the show continued into its 2oth episode and faced the withdrawal of members Woori and Amber, a worrying pattern soon became very apparent. Every episode since the departure of the members dominantly featured a guest appearance, causing a bit of unfortunate implications, the main one being the implication that the show and its cast are not able to stand on its own and is in need of outside influences. 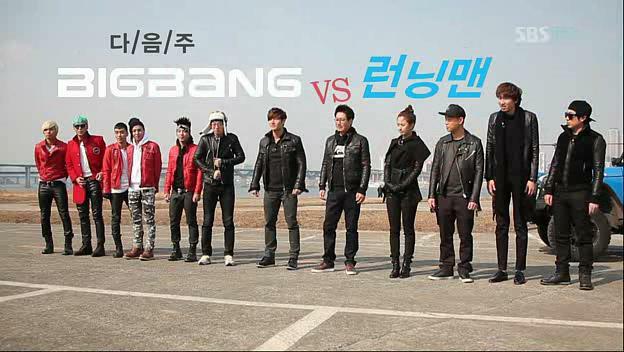 Granted, the cast was now limited to eight (The G6 members and hosts Boom and Kim Shin-young) and absences of the fairly busy Hallyu stars were often occurring, so it could have been justified to have a guest to cover for a missing member, which was how the original show treated most guests. However, having guests featured in every episode even when they were not at all needed is what the show has done so far, and that is very discouraging and detrimental to the show overall. The use of guests is damaging the show in the way that they are taking the attention away from the main cast and preventing them to experience some much needed growth. The main cast already weren’t given much time to bond and guests only limit that time even further. Also, with the focus being on guests, the show prioritizes the focus on labor and farm work even less in trade of having games that would entertain guests and fans of those guests. And with the addition of games, even more competition was added which was the last thing the cast of girls needed at this point. Furthermore, seeing how the six girls headlining the program really are widely popular idols, the use of guests highlight their idol-ness even more. Whenever a guest arrives, especially a male one, oftentimes the first thing they do is to dote on and compliment the girls, saying they were fans of their work. This is a total deviation from the original basis of humanizing the girls as these comments, while it may be unintentional, present the girls as idols when, given the concept of the show, they should be looked upon as normal girls, or even teachers for the day. Another drawback of these guests is that they are only temporary. While they may help the show get viewers and amuse the public indefinitely with their humor or charm, those viewers would only tune in to watch the show for a single episode unless they like what they see. And judging by the low quality the show has reached, it doesn’t look like the occasional viewer would become regulars anytime soon, further damaging the show by making its weaknesses all the more apparent. Lastly, something else that irked me was the invitation of the original G7. As much as I loved those girls and as long as I’ve been waiting for their eventual appearance, the timing of their appearances made it all the more evident that Invincible Youth 2 was relying on guests to survive. When the show started to decline in ratings, the show called members of the (superior) original cast back, using their reappearance as a gimmick to gain back viewers who were fans of the original show. Instead of focusing on establishing the characters and bonds of the new cast, it showcased the already established characters and relations of the original cast members. Fannie previously compared Invincible Youth 2‘s decline to Family Outing 2‘s in a previous article, citing the disregard of the original concepts of the their respective shows being the cause of failure. The original Family Outing charmed its viewers with the genuine relationships of its cast, but its sequel exaggerated certain relationships, namely the loveline between SNSD‘s Yoona and 2PM‘s Taecyeon. Similarly, both sequels also exaggerated guest appearances, relying on them to amuse viewers instead of having their cast fulfill that role. When the decline in viewership became all the more evident, Family Outing 2 started to invite guests by the masses to cover the show’s flaws, but instead they only made the problems worse, eventually leading up to the cancellation of the show. The guests present prevented the new family to really become a family and growing close to each other like the previous season’s cast. There were too many outside influences and temporary members to form any substantial and long-lasting bonds since they’d be able to meet someone new again the following recording. 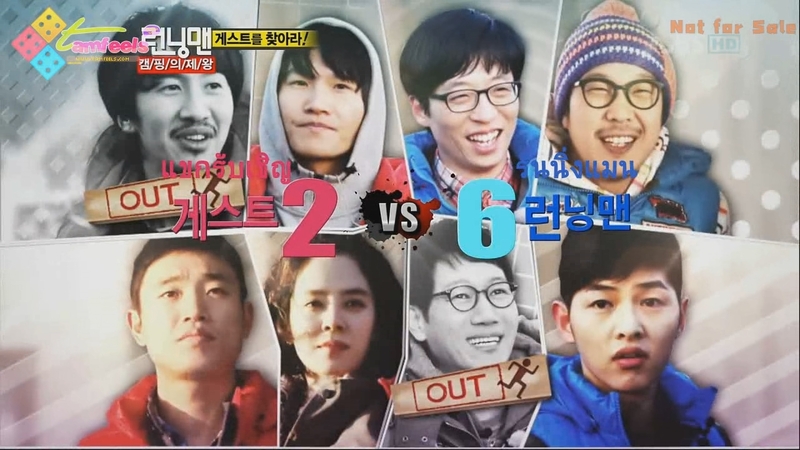 And while it hasn’t faced the severe decline in popularity or (arguably) quality compared to the previous two examples, even popular variety Running Man has a reliance on guests that has affected the show. While the charms of the show still remain with the main cast featuring great relations and interactions and it is still properly showcased that way, some aspects of the shows’ format ended up changing due to the intervention of guests. The epic and amazing rounds of strenuous hide-and-seek the show previously featured was scrapped in trade of a variety of games that varied with the guest. Granted, there were honestly some really great and unique games presented in episodes with more able and amusing guests, but then again there were also those games that accommodated the less able or more restricted guests, particularly the date-like “missions” usually played in the presence of female idols. This dropped the quality of the Running Man episodes, because while the Running Men themselves were able to keep the public amused with their antics, some episodes were clearly more exciting than others due to the adaptation of the episodes to its guest. This was just a bit unfair for the Running Men who are capable of doing much more. And even if the events held were potentially exciting, too often the guest became extra baggage on the show. These guests ended up being crutches for the Running Men to focus on instead of the game itself, acting for the guests’ favors to please the guests’ fans. This factor alone could potentially end up changing the outcome of the game as you may have a Running Man who’s prevented from doing their best due to a guest’s interruptions or one that’s pressured to act in the guest’s favor. And because of this, episodes without guests tend to be of a higher quality and more intriguing overall. As a K-pop fan, I enjoy seeing my favorite artists being humorous or endearing in a variety show. As a variety fan, I see their inclusion as distracting and trivial to the overall state of the show. I’m not at all saying the use of guests should be taken completely out of variety; if used appropriately and sparingly as some shows do, a guest can be a breath of fresh hair to the show. But a show shouldn’t have to change itself or disregard their original basis just for the guests’ favor. Variety shows should not have to rely on guests to improve episodes and or gain viewers since it often takes away from the main charms of the show, if it had any in the first place. What are your thoughts Seoulmates? What do you think of guests on variety shows? Are they a necessity to spice things up or gain viewers? Or are they just excess baggage that could potentially hurt the show in the long run?